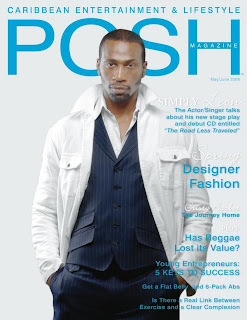 The new issue of Caribbean Posh is now available on news stands. Also, DancehallSoca.com makes its debut in this issue in a segment called POSH unsigned artist [DancehallSoca.com picks]. We will be searching for two emerging Caribbean artist every month. Read Posh Magazine on how to be considered if you are new artist.